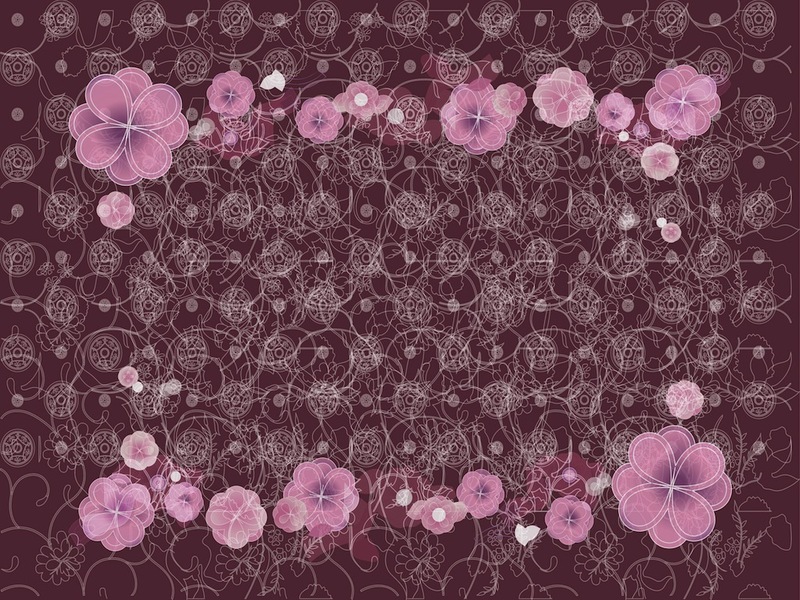 Elegant vector backdrop image template with flowers and swirling floral outlines. Thin lines tracing the leaves and petals of many flowers, round ornaments and big colorful flowers and waving lines. Free vector illustration for all flowers, floral, nature, natural, abstract art, floral and organic projects. Tags: Backdrop, Circles, Flowers, Lines, Round, Wallpaper.